A.o.A! today I will tell you how you can boost your internet download manager download speed.Previously,I told you how you can register your internet download manager without serial key and get rid of idm fake serial key problem.I decided to make this video tutorial because many people messaged us on our Facebook page and commented on our posts asking about how they can boost their idm download speed.I tried my best to explain them how they can boost their idm speed but they did not get my point so I decided to make this video tutorial so that all people can get benefit from it.After applying these tricks which I am gonna tell you in the video tutorial I am DAMN! 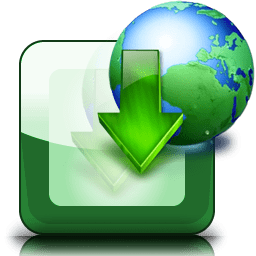 sure that you will observe the increased speed of your internet download manager.In this video tutorial I will tell you the tricks which only few people know.Now by not wasting your time let’s start the tutorial and I hope that you will like it. First of all open your IDM. Scroll down to Speed limiter and Turn it ON! Again go to Downloads TAB. Default will be 20 KB but you have to change it by your internet connection MB’S.For example I am using a PTCL connection of 4/MB so I will type 4000 there.If you are using 1MB connection then type 1000 there. Now tick the option : ”Always turn on speed limiter on Start Up” and click on Ok.Now half of our work is done. Again go to downloads and scroll down to options and open options. A new window will open showing Options. Select ”Connections” tab at above right corner. Select your internet connection type.I am using Wi-Fi right now so I am gonna select High Speed connection! Now HIT Ok and you are done! By following the above given steps you can increase your IDM speed and I am sure that you will feel the difference between Old download speed and new speed.Dont expect that these tips will give you 4MB speed out of a 2MB connection.This is not possible at all.It will only make IDM give you maximum bandwith as it can.If you are having any confusing following the up given steps then I recommend you to watch the below video tutorial! Thanks,for watching the video tutorial.We hope that you would have liked it.Please keep on viewing our website for more video tutorials and please comment to appreciate us.If you are having any problem related to anything then please feel free to ask.We will try our best to help you.Please share this video tutorial.Social media share buttons are given below each post.Allah Hafiz! Remember me in your prayers!